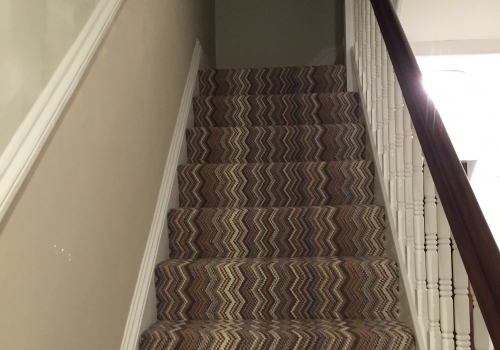 Texture and tone come through loud and clear as striking stripes shout the house down. 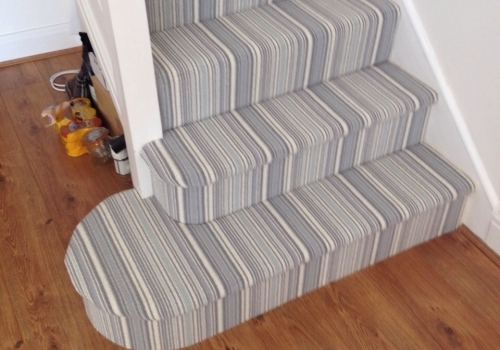 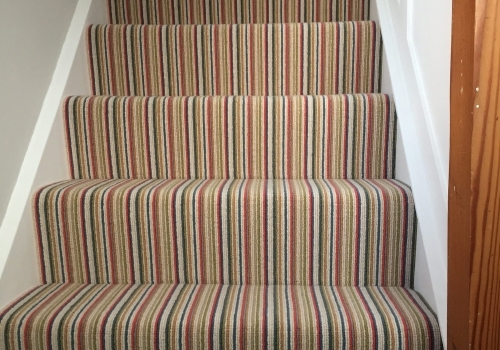 This carpet had to be cut to size, overlocked, then was expertly fitted by one of our team. 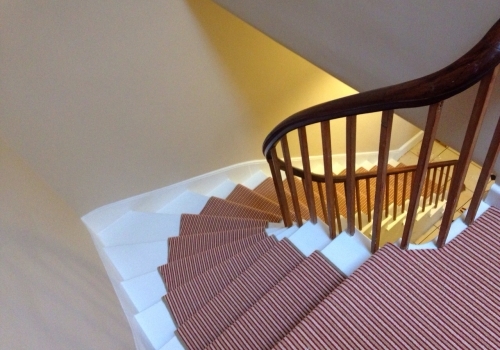 Another great example of how to make your staircase a focal point in your home.